Signal Media has build an Artificial Intelligence system that accurately translates intelligence over 5 million sources a day and surfaces the relevant information to customers in real-time. Each piece of content needs to be understood: what it is about? Who is being mentioned? Is it &apos;apple&apos; the fruit or Apple the company? Signal uses natural language processing and machine learning to understand the context of information, eg. if apple is mentioned, is it the fruit or the company?. Signal perform spam detection (filtering), language detection and translation (40 different languages from 90 different countries) anomaly detection and sentiment analysis. The results made searchable so you can ask questions like: Show me all the tweets and blog posts about Clojure. Walmart are one of the largest retailers across the United States of America making $120 Billion annually. Every single sale they make is managed by a system written in Clojure. In just one day they had a record 133 Million people buying over $50 Million worth of products across 5,000 physical stores and the online store. 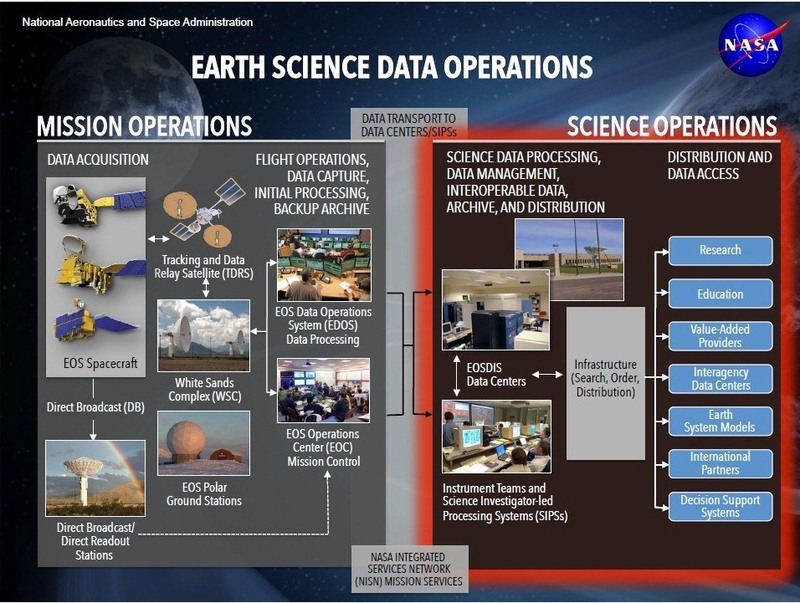 NASA&apos;s Earth Science Data Information System (ESDIS) project is responsible for providing access to Earth Observation data and services to an ever-growing user community including — but not limited to — Earth scientists, educators, other government agencies, decision makers, and the general public. As data archives grow and more data becomes accessible online — cataloging, searching, and extracting relevant data from these archives becomes a critical part of Earth science research. Common Metadata Repository (CMR) is an earth science metadata repository for NASA EOSDIS data. The CMR Search API provides access to this metadata. Processes large volumes of data from financial services, insurance companies to drive their price comparison website. uSwitch is a major supporter of the London Clojurian Community having used Clojure since it&apos;s early 1.0 days. They run regular coding dojos at their offices for newcomers to the language, and sponsor various community events and conferences (such as EuroClojure, ClojureBridge, and the Clojure Exchange). They frequently commit to open-source Clojure libraries and have also participated in the annual Clojure Cup. The revolution at uSwitch began in 2010 after the company was acquired by Forward Internet Group. uSwitch&apos;s .NET monolithic systems were strangled and subsequently replaced with a system of microservices, written in Clojure, Ruby, Go and more. As with the changes to technology, the organisation also transformed from being functionally structured to product-oriented; decoupling the business to make it more resilient and easier to scale. HealthUnlocked created a social network centred around chronic health conditions. Their users share 4.5 pieces of health content every minute across this network. Using the Clojure tooling they created, this information is classified into 700 different categories within milliseconds. Machine learning is applied the experiences shared by their users to information they need to better manage their own health. Networks are operated by charities and patient groups. HealthUnlocked simply provides the tools for these organisations to manage their communities. Metail provides online tools to the fashion industry. With just 5 measurements customers can see what clothes will look like using accurate 3D avatars of their body shape. Machine learning and data science services make recommendations and give fashion advice, whilst being able to feed data back to the clothes producers as to improve cuts and sizing. Their software is delivered to online retailers across the globe, including India, Korea, Thailand and Europe. Metail uses Clojure for their RESTful API services and ClojureScript on the front-end. They maintain a Metail tech blog and host a variety of meet-ups at their offices such as Data Insights Cambridge, Cambridge AWS User Group, and Cambridge NonDysFunctional Programmers. Metail also sponsored this year&apos;s /dev/summer. Citi Group is the largest financial company in the world employing 220 million people across the world. Clojure is used for capturing financial information to create a view of financial investment and risk at any point in time.